Feral Interactive have released another big strategy title for us, today we are graced with Medieval II: Total War Collection! Note: The game has no cross-platform multiplayer, but mods should work fine. I can certainly see why people put so much time into these games, my first ever go on this was a solid hour and I didn’t even realise it, talk about being sucked in! The good thing is that this game is no way near as complicated as some of the others, and that keeps my simpleton brain very happy. The tutorial is quite short and to the point, and sets you up nice and easy for the battles to come. I’ve actually found Medieval II: Total War to be much more fun than the previous port by Feral with Empire. Using catapults to lay siege to an enemy castle, and to then storm in some cavalry is actually quite fun. It's a pretty old game, so don't expect to go into it to see beautiful graphics. The graphics are pretty dated, but with this type of game graphics aren't really that much of an issue. The French are real bastards in this game, starting off as England and the damn French keep sauntering into my territory showing off their grand armies, all while I'm trying to keep my folks happy and fend off damn rebels. They aren't exactly sneaky about their attacks either, three of their armies decided to surround one of my castles before attacking (yeah I was a bit busy dealing with rebels to notice!). Two things bug me about the game: You cannot change the scrolling speed during the game, you have to go all the way back to the main menu, and you cannot scroll with a mouse wheel where that has a scrollbar. Minor stuff, but still annoying. That interface has not aged well. The good thing is I can’t see a problem with the performance. Everything has so far worked as expected, and the frame rate on my 980ti has been okay. During battles I generally get around 80-120FPS on average at 4K resolution. I would have expected more, but none of the Total War games were ever optimised well on Windows, and now we have the usual OpenGL overhead. Performance didn't really change putting it down to 1920x1080 resolution either, so it's likely CPU heavy rather than GPU (which is quite common for the Total War games). I consider the general port quality to be really good, and considering it supports Nvidia, AMD and Intel I hope to see people jump at the chance to support Feral Interactive on this one. I haven't come across any bugs at all, and I've put quite a few hours into it now. I've only had one graphical issue with the game, which was fixed during testing and since then it has been completely smooth sailing. The game also requires an NVIDIA 600 series+ with Driver Version 352.55. AMD R7 with Mesa 11.2 driver, and Intel Iris Pro with Mesa 11.2 driver. AMD GPUs may require Ubuntu 15.10 or later. The Mesa 11.2 driver is still in active development. 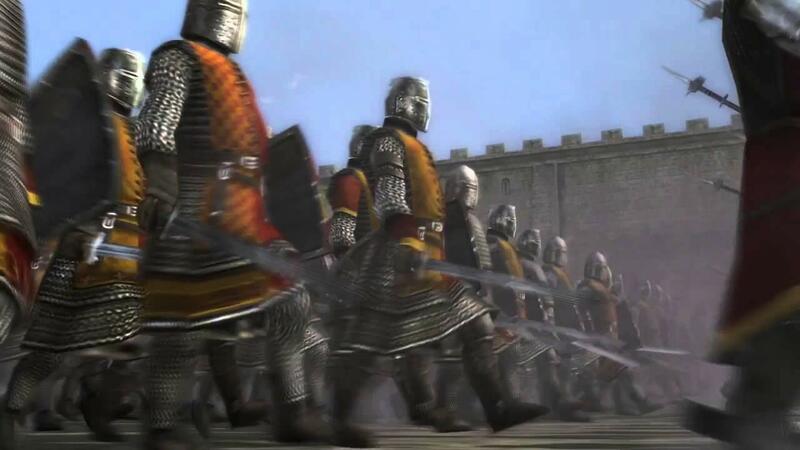 The Medieval II: Total War Collection combines thrilling real-time battles and sophisticated turn-based strategy in a vast campaign that spans five centuries and encompasses the Crusades, the spread of plague and the proliferation of gunpowder. As a warrior king, players will lead one of 17 factions to supremacy in the medieval world with an artful mix of diplomacy, commerce and war. On the campaign map, players will build their empire’s infrastructure, cities and trade routes, then master the art of diplomacy to disarm enemies, empower allies and gain the favour of the Pope. On the battlefield, they will conduct siege warfare, command thundering cavalry charges and lead their armies into epic clashes that will bring entire kingdoms to their knees. The Medieval II: Total War Collection (Also available on the Feral store) contains the Kingdoms expansion, which includes four standalone campaigns: Discovery of the Americas, Britannia, Crusades, and the Teutonic Campaign. Interesting. Quite tempted to try this, even though I'm not sure my system is up to it. Also happy about the Mesa support (albeit with the development warning - nothing to worry about from personal experience) instead of Catalyst/Radeon Crimson, and the Intel support. Hail to the Feral, baby!! Still waiting for Rome II, and Shogun 2 as well...! "PaPo and Yo"released for Linux! I launched the game and It worked, but when I clicked in "Tutorial" it showed me that I must chose an option in the list, but I didn't have options. I closed the game and I re-launched it. After this the game don't load. If I open Steam in a terminal, the game indicated me that I should send to feral a .dmp file. Contact Feral via email with details of your hardware and software setup and we can investigate, it's likely something in your setup that we can look into. I wish there were a demo* - I am not sure how well this will work in a Big Picture / living room setup with a Steam Controller. Biggest concern being text and UI legibility at a distance. I guess the closest I will get is gameplay videos on YouTube. I'll have to check tonight. This is definitely the setting that interests me the most! * - I don't want to buy and refund if I don't have to. I've been quite happy with Empire. It's the first Total War game I've ever played, but everything I've read suggests that it's where the series peaked (either Empire or Shogun II, depending on who you ask). edddeduckferal Contact Feral via email with details of your hardware and software setup and we can investigate, it's likely something in your setup that we can look into.